Our vision over the next four years is to change the way learning looks through technology. Technology must support the curriculum. It must function as a tool to be used by teachers, students, and staff to discover new ideas. The focus of our District has to always be on the teaching and the learning with the technology fitting in where it makes sense. Mr. Smith joined the District in August 2013 and worked previously for the California Area School District as the Director of Technology. 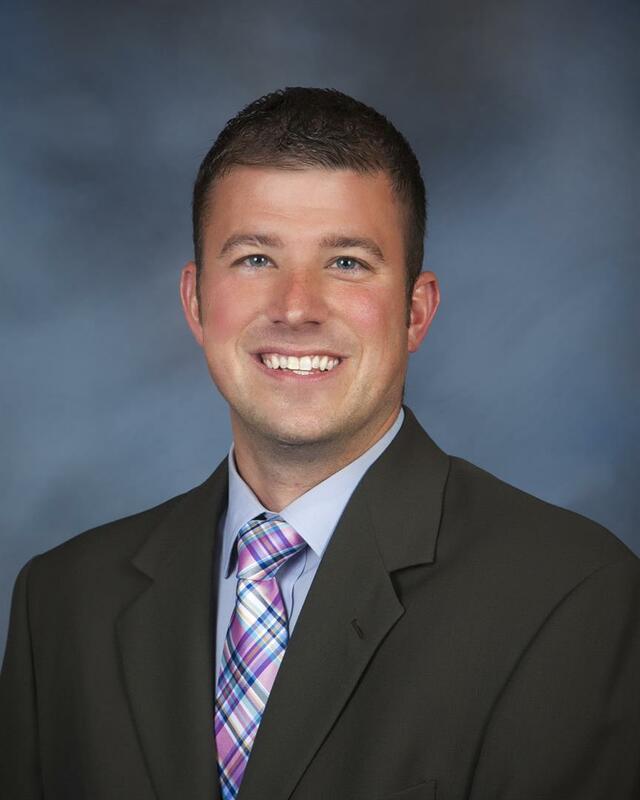 Mr. Smith holds a Bachelor’s Degree in Information Technology, Communications, and a Master’s Degree in Instructional Technology from Duquesne University. Mr. Smith believes in the transformative role technology can play in the educational process and hopes to engage all members of the Keystone Oaks community in this journey. As the Director of Technology, Mr. Smith is responsible for assuring that current technology is provided and maintained for all students and staff in all school district facilities. He directs technology personnel according to district guidelines, represents the District’s interests in technology issues and coordinates the District’s technology plan, which is aligned with the District's strategic plan. Born in Pittsburgh, PA and living in Dormont, PA since 1965, Mr. DeSimone was first employed by Keystone Oaks School District as a Library Clerk on August 28, 1982 and became an AV Clerk with the District’s Audiovisual Department on July 1, 1984. On July 1, 1987, he was transferred to the District’s newly-created Computer Systems Department (as the current IT Department was called then) to take on the role of the District Systems Operator where he has remained to this day. He holds a B.S. degree in Science from Penn State University and a B.S.B.A. from Robert Morris College in Business Information Systems. From a few dozen Apple IIe’s, green-screen terminals and a minicomputer to today’s complex wired and wireless network of hundreds of devices of all types, Mr. DeSimone's duties have grown with the District. For most of his tenure, he has handled most of the paperwork for the department including record keeping, budgeting and purchasing. In addition, he is currently responsible for watching over the District’s phone and voicemail systems. He handles general maintenance of the District’s student information system, Power School, as well as summer resetting and general maintenance of a number of web- and PC-based software packages used by both students and staff. In recent years, Mr. DeSimone has also been involved with the reporting of the District’s student demographic information to PDE’s information system, PIMS. Carol joined the Keystone Oaks “Tech Team” as the Technology Integration Specialist in July 2014. She has her degree from Duquesne University in Elementary Education and an Instructional Technology Specialist Certificate. Before coming to KO, she taught grades K-6 and was a computer para. Her favorite part of her job is getting teachers and students excited about learning in a new way. She has been married for 4 years to her husband, John. They enjoy spending time with their retired racing Greyhound, Henry. For presentations by employees and guests. The Technology Department's goals for resolving IT requests.